A recent report sheds light on how more than 55,000 California residents are being served up illegal and unsafe levels of arsenic in their tap water. California was found to be in noncompliance 3 years ago with the law regulating safe amounts of arsenic in water, with residents still being exposed to it. 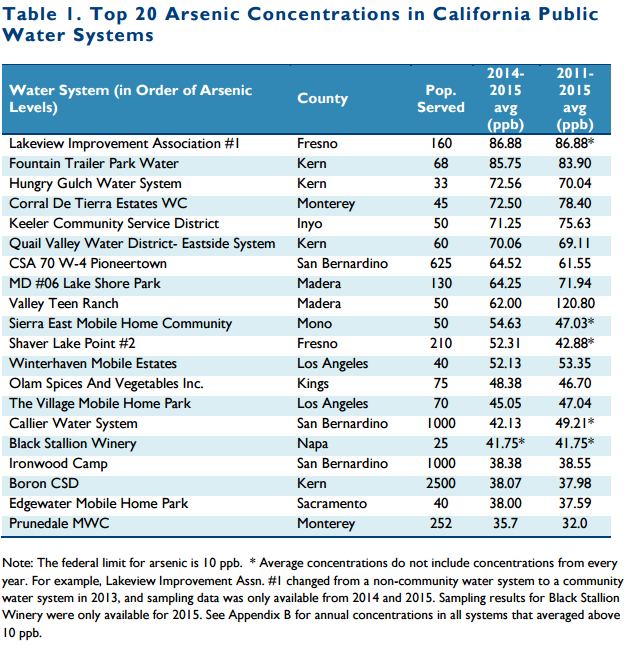 California has made progress in decreasing levels of arsenic in the water over the past few years, but the necessary improvements aren’t happening everywhere. Wealthier communities can often afford filtration systems that allow their residents to have clean, filtered water in their taps. But this is hardly the case for those who are struggling financially. The report estimates that most of the citizens who have been exposed to high levels of arsenic for over 5 years are African-American, Latino, and/or poor. 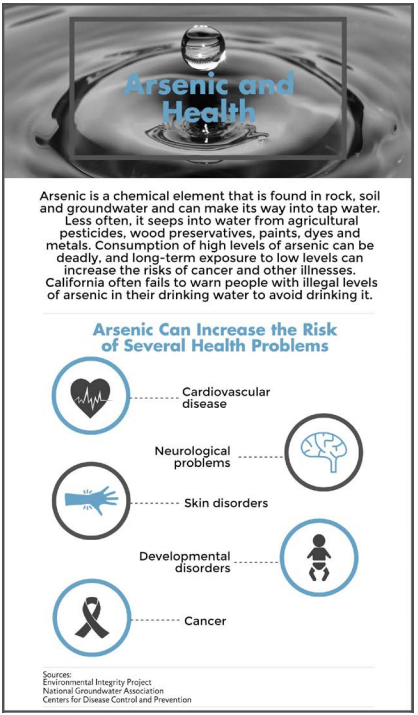 Prolonged exposure to arsenic may not cause any acute issues, but it is linked to bladder, liver and kidney cancer, cardiovascular disease, and can also serve to impair children’s development.